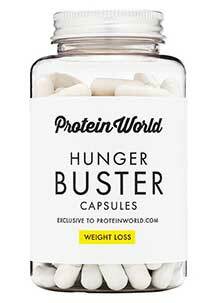 Hunger Buster is a dietary supplement distributed by Protein World. The company’s head office is in Wallington, London and members of the customer services department are easy to contact via email and telephone. Protein World also markets a diverse range of other health and wellness products, including fat metabolising capsules, protein bars, and a Slender Blend pancake mix. As the name suggests, Hunger Buster is an appetite suppressant. 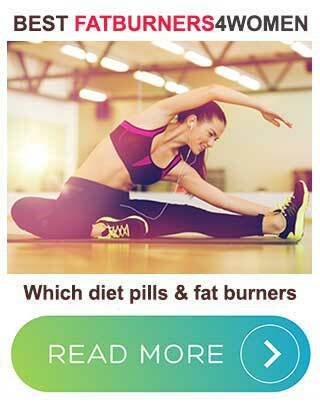 It’s intended to be used with diet and exercise and Protein World is keen on convincing customers to use Hunger Buster alongside their Slender Blend weight loss shake and carb blocker diet pills. This may be a good way to get better results, but it also raises questions about the company’s faith in the product’s ability to go it alone. Konjac Glucomannan (1000mg): Glucomannan is the name usually used to refer to extracts taken from the roots of the konjac plant. 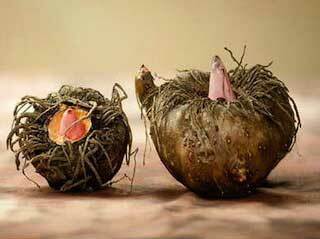 Konjac root extract is a high fibre compound that is highly absorbent and can soak up many times its own weight in water. It’s this ability that gives it value as an appetite suppressant. When glucomannan is consumed with sufficient water it hydrates in the stomach and expands. This creates a feeling of fullness that reduces the desire for food. 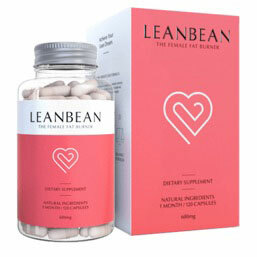 The European Food Safety Authority (EFSA) issue strict guidelines for the use of glucomannan for weight loss and state 1000mg should be consumed with one to two glasses of water, three times a day before meals. They also stress the importance of using glucomannan alongside a calorie-controlled diet. Hunger Buster provides the recommended amount of glucomannan and Protein World issue usage guidelines that are in keeping with the recommendations laid out by the EFSA. 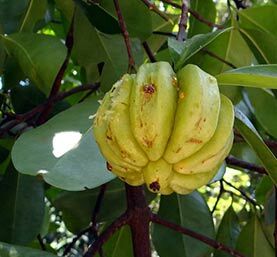 Garcinia Cambogia (400mg): Garcinia cambogia is a species of tropical fruit. The extracts used in weight loss preparations are taken from the rind because it contains a chemical called hydroxycitric acid (HCA). The HCA provided by garcinia cambogia extracts is known to exert a powerful appetite suppressing effect and it further assists weight loss by placing limits on the body’s ability to turn excess calories into fat. Garcinia cambogia is an incredibly popular weight loss ingredient that’s often considered strong enough to go it alone, but extract quality varies a lot. Experts say good results require an extract that is at least 60% HCA. 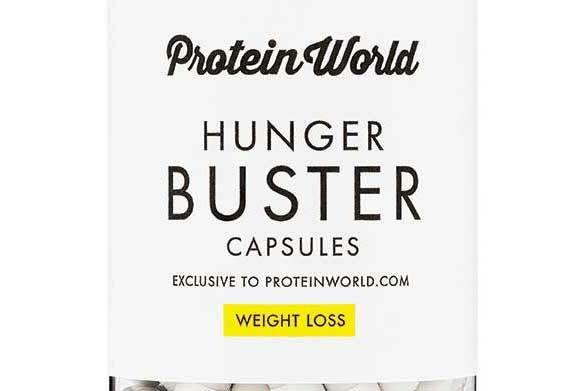 Protein World fails to state the HCA content of the garcinia cambogia extract used in Hunger Buster, so it’s possible the quality may not sufficient to deliver tangible benefits. Hunger Buster feedback is a mix of good and bad. No side effects have been reported, but Protein World make it very clear Hunger Buster is not intended for women who are pregnant or breastfeeding. People who have existing health problems should check with their GP before using any brand of food supplement. The same goes for people who are using medication or planning to use two or more supplements together. Usage Instructions – Two capsules are required, three times per day and should be taken 60 minutes before meals. Protein World stress the importance of taking Hunger Buster with plenty of water. Although it’s possible to buy Hunger Buster via Amazon and Superdrug, this is generally not the cheapest way to go because a 15 day supply costs around £22. Customers who buy direct from the Protein World website pay just £14.99. Protein World does not offer a money back guarantee, but customers who wish to return unopened products have 14 days to do so. Although there are some doubts about the quality of the garcinia cambogia extract used in this formulation, the glucomannan content is sufficient to deliver appetite suppression on its own. 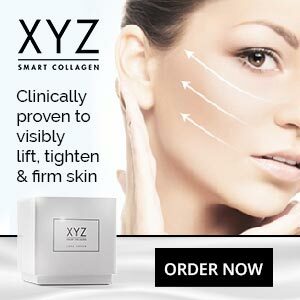 So why do so many customers say the product does not work? There is no way to be certain of this, but it’s possible the people who experienced no suppression in appetite did not drink enough water to fully hydrate the glucomannan fibres. The people who felt less hungry but failed to lose weight may still have been getting too many calories from the food that they did consume. Appetite suppression is not always enough. That’s why the best diet pills also provide ingredients that can speed up the metabolism and cause the body to burn calories and fat faster than normal. However, for whatever reason, Hunger Buster does not work for everyone and that’s a big problem for a diet pill that’s sold without a money back guarantee. With this in mind, potential Hunger Buster users may want to consider taking a look at some guaranteed alternatives instead.